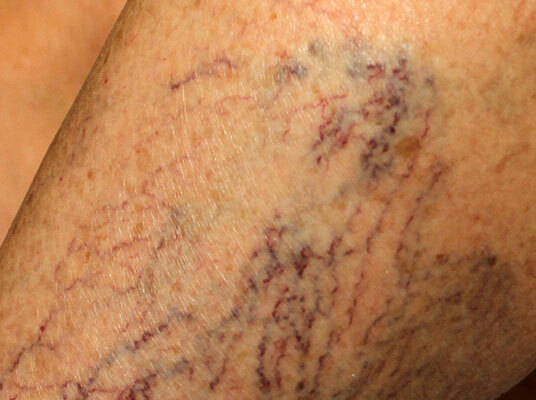 Spider veins are disfiguring red, blue or purple superficial veins that are very common on the legs. They are easily treated with sclerotherapy, one of our most popular cosmetic treatments. 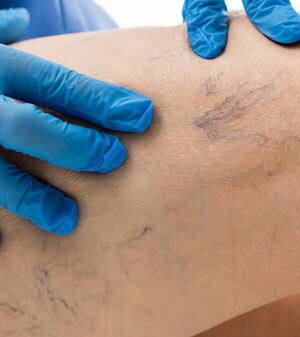 Sclerotherapy is done by injecting a solution directly into the unwanted veins using a very tiny needle. The solution irritates the lining of the vessel, causing it to swell and stick together. Over the following 2–3 weeks the vessel is reabsorbed and fades from view. A thorough treatment takes two sessions. 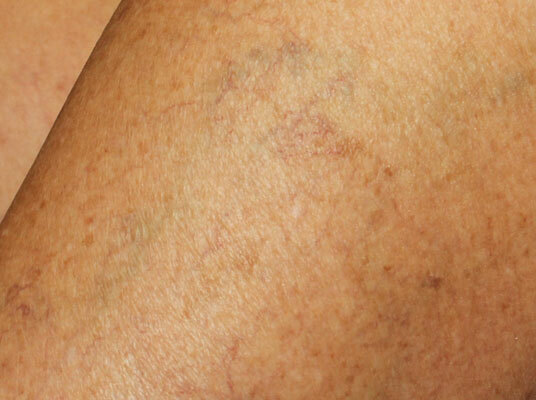 Sclerotherapy is a well-proven procedure and has been used since the 1930s. The risks are very slight, and are detailed in our Sclerotherapy Informed Consent handout.